Vintage クリスマス card. . Wallpaper and background images in the クリスマス club tagged: christmas holidays merry christmas. 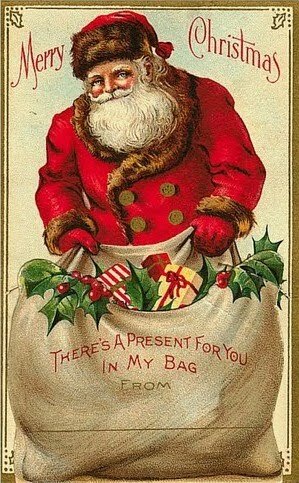 Ohhh~ ^~^ A Victorian Father Christmas! Yay! I love that!